Here are some frequently asked questions that My Guys Moving & Storage in Virginia Beach has put up to answer the most common questions we encounter. 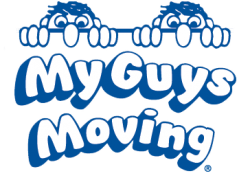 As always feel free to call us at (757) 463-3001 and one of the guys will be happy to answer all your moving and storage questions! Choose a question…How can I get an estimate for my move?Is there anything that you can not move?Do you offer anything to protect my belongings while they are being moved?Do you offer packing?How will you protect my furniture and floors?Are you available on Sundays?Do you offer storage?How far in advance do I need to call to get booked?Are you just a local moving company?Do you provide boxes?Do you have boxes for clothes that are hanging up in my closet?Are there any fees besides the hourly rate, travel charge and fuel surcharge?Do you have a minimum?Is my job too small for you to handle?Do you do in-house moves or load/unload rental trucks?How do you break the hours down?Are you the lowest cost mover?Do you require a deposit?When is the balance of my move due?Will your guys try to “milk the clock?”What types of payments do you accept?Do you use temporary or contract labor?Do I need to empty my drawers before my move?Do I need to take apart my beds or put them back together when you’re done?Can I get references? Q: How can I get an estimate for my move? A: For local moves, you can submit a Free Estimate or Guaranteed Price request. You can also call (757) 463-3001 to talk with one of our customer service reps, who are happy to give you an estimate over the phone. For larger moves, a relocation specialist will visit your location and conduct a visual survey to provide the most accurate estimate possible. We also provide video survey for those who cannot see someone during business hours. You just need a smart phone and about 45 minutes. We can set one up usually the same day. As always all estimates are free. Q: Is there anything that you can not move? A: Yes. We are not properly equipped to move items such as hot tubs and slate pool tables. We can only move firearms if they are properly locked and sealed in a proper case. We do not move ammunition. If you are moving out of the state, we are not legally able to and do not move any flammable or combustible materials, such as gasoline cans, propane tanks or oxygen tanks. We are also cannot move any hazardous materials, liquids, or aerosol cans. Feel free to call us at (757) 463-3001 if you have any questions about moving certain items locally or interstate. Q: Do you offer anything to protect my belongings while they are being moved? A: Standard coverage is called Carrier’s Liability Valuation of $0.60/pound per article up to $50 per article. We also offer additional, full value coverage for an additional charge. Ask your CSR as cost varies by move size. Q: Do you offer packing? A: Yes. We are a full service moving company. For local moves, we offer packing at the same hourly rate as your move, plus the cost of the materials. For long distance moves, we estimate that packing usually costs about one half to two thirds of your total move cost. We keep all packing materials in our Richmond warehouse so we are always ready to handle your packing needs. Q: How will you protect my furniture and floors? A: When they are loading the truck with your furniture, our guys will professionally wrap your furniture with moving blankets to protect it from harm. All of our trucks are equipped to handle professional moves, and have specialized floor protection on them to protect your furniture. Q: Are you available on Sundays? A: Our normal work days are Monday through Saturday, but with enough advance notice, we will schedule your move on whatever day is most convenient to you including Sundays. Q: Do you offer storage? A: Yes. We have a secure storage warehouse on location that is regularly inspected and military approved. We differ from self-storage places in that we professionally load your belongings into vaults specifically designed for storage. Each vault holds approximately one room of furniture. We also have racks designed to hold sofas so they are kept clean and have nothing stacked on them. The prices for storage are based on the number of vaults used, so feel free to call us at (757) 463-3001 and get a quote for your storage needs! storage is held in our Richmond, VA warehouse. Q: How far in advance do I need to call to get booked? A: We are flexible and will work with you to get you moved at your convenience. We understand that you don’t always have two weeks notice when you need to be moved. However, at the end of the month and on weekends, a week’s notice will help to make sure that you get the day and time that you want. We focus on long distance mover and large local moves. Q: Are you just a local moving company? A: No, we do intrastate moves as well as interstate moves. We have experience handling moves throughout the country and we are an interstate agent for Stevens Worldwide Van Lines. We also have experience handling international moves! We only do large local moves in the area. Q: Do you provide boxes? A: We do provide boxes. Small boxes (1.5 cu/ft) for packing books and CDs or movies are $2.50, medium boxes (3.0 cu/ft) for packing knick knacks and glassware are $3.00 and larger boxes (4.5 cu/ft) for packing clothes, sheets and so on are $3.50. Dish packs are $7. We also sell packing paper, tape and boxes for various types of TVs, mirrors and mattresses. Stevens Worldwide Van Lines also has a great form for ordering boxes that can be found by clicking here. Q: Do you have boxes for clothes that are hanging up in my closet? A: We do. They are called wardrobe boxes and we rent them for $8.00 a box. They are 18 inches wide and come with a metal bar that you can hang your clothes on. We usually say the wardrobe boxes hold about a small closet’s worth of clothes. They cost $15 to purchase. Q: Are there any fees besides the hourly rate, travel charge and fuel surcharge? A: The hourly rate (including the travel time), and the fuel surcharge, are the only charges we have. Unlike many moving companies, we state all of our charges up front and let you make a decision with all of the information you need. Our minimum is usually at least 4 hours plus travel and fuel. Be sure to check other company’s rates before you make your final decision. Many have hidden fees or charges. We will happily match any licensed, bonded and insured moving company’s price. A: Yes. Our minimum varies based on time of year and location of the move. It is usually four hours plus travel and fuel. You can give us a call at (757) 463-3001 to talk to one of our customer service reps, who would be happy to give you more information about our minimum price. There are weight minimum on intrastate and interstate moves. Q: Is my job too small for you to handle? A: Yes, we do not handle small local moves. We do take care of small intrastate and interstate moves. Q: How do you break the hours down? A: After the first, minimum labor hour plus the hour travel time, we break our hours down into quarter hour increments..
Q: Are you the lowest cost mover? A: Our rates are competitive, but we may not necessarily be the lowest cost mover. We are, however, the best value professional moving and storage company in the Tidewater area! A: Yes, we have a two-hour deposit on all local moves (subject to our discretion) and a $200 deposit on intrastate or interstate moves; which is deducted from the final price of your move. Q: When is the balance of my move due? A: The balance is due the day of your move and can be paid by cash, check, or any major credit/debit card. We do accept AMEX! A: No. All of our guys have been moving for two years or more, and many of them have been in this business for their entire lives. They understand that they are on your clock when they are moving your belongings, and they respect that your time is valuable. Another option, if you want to avoid the uncertainty of an hourly rate, is to take advantage of our Guaranteed Price feature, which lets you know the price of your move ahead of time! We are one of the few movers in the country to offer this moving option. Q: What types of payments do you accept? A: We accept all different types of payment: all major credit cards (Visa, Mastercard, American Express, Discover) along with checks and cash. Q: Do you use temporary or contract labor? A: No. All of our movers are employed by My Guys Moving, and none of them have less than two years’ verifiable moving experience. Many have been moving for their entire lives. Q: Do I need to empty my drawers before my move? A: No. Our guys will move your dressers with everything in the drawers. We recommend that you remove any breakables. You do need to empty any “junk” drawers. On larger dressers, the guys may need to empty the drawers, which would add to the time. However, if you empty the drawers, that part of the move will go faster. Q: Do I need to take apart my beds or put them back together when you’re done? A: No. Our guys are happy to take apart beds and put them back together at your destination in whichever room you decide. All our drivers have tool kits to make to move go faster. You have enough to worry about without being concerned about where to sleep! Q: Can I get references? A: We do not give out customer information, but you can read our customer reviews!